Last Updated: August 25, 2015 | Subscribe to our weekly newsletter! Before you begin, be sure you invest in a reliable testing kit If you click this link and make a purchase, we earn a commission at no additional cost to you. to properly test the chemicals present in your water. 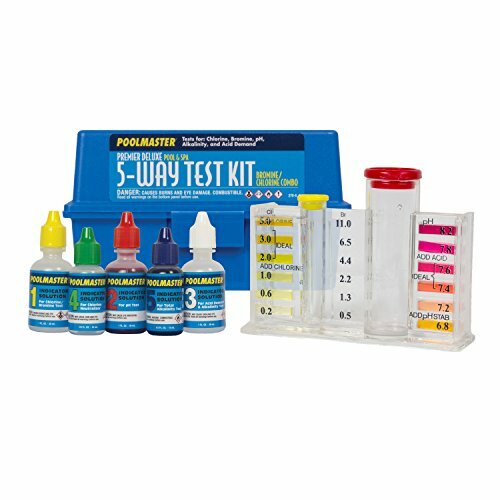 While you are free to use these household products to clean your pool, never skimp on the testing kit so you are sure you get an accurate read of what exactly is present in your water. While there are many different kinds of common household products that will work perfectly for your pool, always remember to check the labels to see what is actually in what you are buying before you put it in your pool. If you don’t, you could end up damaging your pool’s lining or even the plumbing, or you could end up with very poor water quality. While these products will most definitely work in a pool, they are meant for a traditional chlorine-based system only. In some cases, these products may not perform as well as the ones designed specifically for a pool. But if you’re on a budget, they do make great alternatives and can help you save a little money on your pool maintenance. 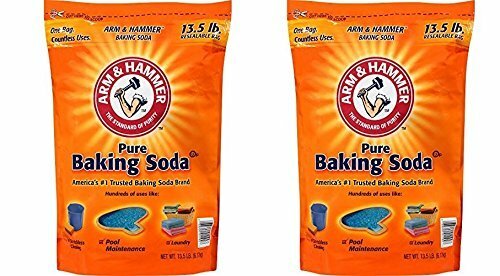 Baking soda is sodium bicarbonate, or the more proper sodium hydrogen carbonate that you can find to raise the alkalinity in the pool store. You can add 1.5 pounds of baking soda to 10,000 gallons of water to increase the total alkalinity by 10 ppm. One other thing you should take note of, while you can use baking soda If you click this link and make a purchase, we earn a commission at no additional cost to you. in your pool, you should never use the pool version for cooking or baking. Household bleach, otherwise known as sodium hypochlorite, can be used to shock a pool just like that pool shock you pick up in your pool shop. In fact, if you have hard water issues, bleach can help reduce If you click this link and make a purchase, we earn a commission at no additional cost to you. the calcium precipitation in the water. Just make sure you use the unscented variety. 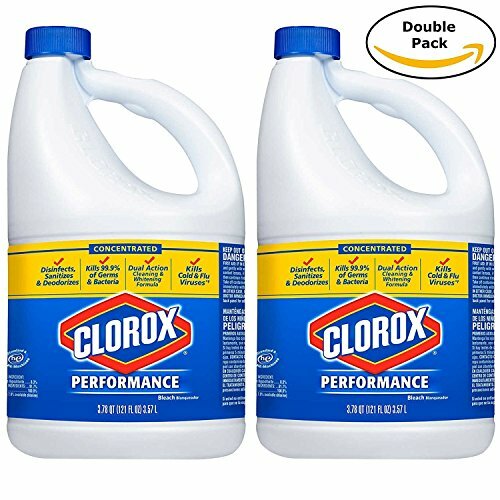 You can raise the chlorine level in a 10,000 gallon pool by 5 ppm by simply adding one half gallon of bleach to the water. 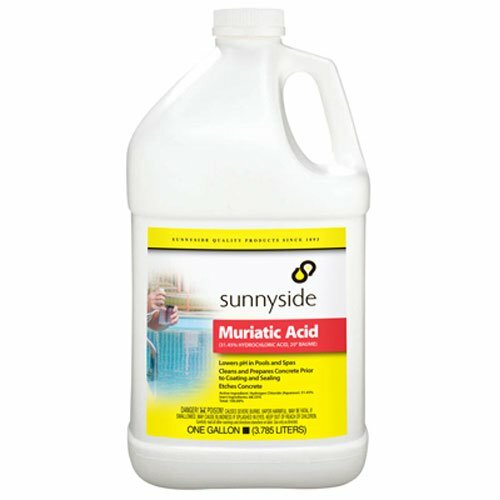 Muriatic acid can be used to lower the alkalinity of your water by as much as 10 ppm in a typical 10,000 gallon pool. It’s usually less expensive If you click this link and make a purchase, we earn a commission at no additional cost to you. than alkalinity decreasers made for pools. 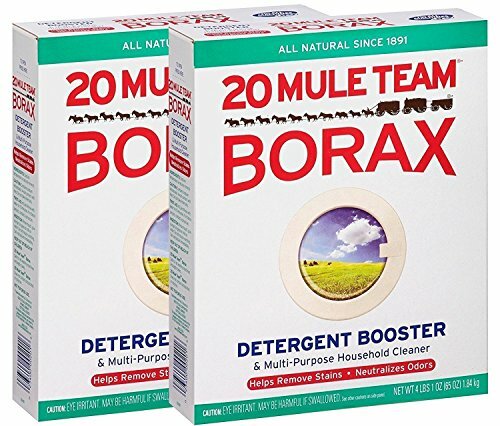 Borax, which is found in almost every laundry aisle in grocery stores across the country, can be used to raise the pH levels If you click this link and make a purchase, we earn a commission at no additional cost to you. in your pool if they are too low. Just add one half a cup per 10,000 gallons of water to increase the pH. How much you need to use will depend on how big your pool is and how much you need to raise the pH levels in your pool. Are you looking for a better way to get up the dirt and leaves that have accumulated at the bottom of the pool? 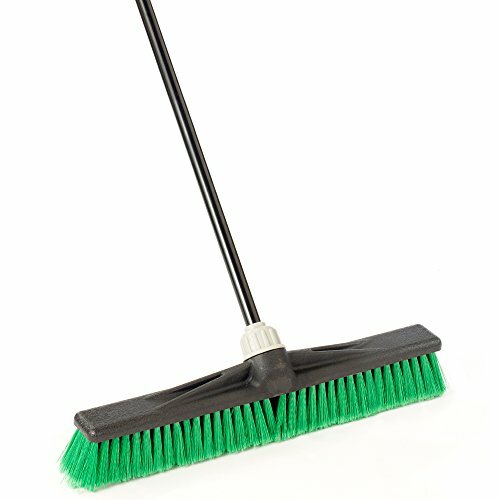 Instead of trying to vacuum the entire pool, take a plastic broom If you click this link and make a purchase, we earn a commission at no additional cost to you. and sweep the dirt into one area first and then vacuum it away. This makes it much easier to clean the bottom of the pool than just using the vacuum. Just be sure you use a broom with plastic ends that will still work under water. While some pool chemicals and cleaning supplies are simply irreplaceable, others can be easily substituted for common household products that you use almost every day. Remember to check your labels and be careful while using them so you remain safe while working on your pool.